Lenovo today launched a solution called ThinkAgile CP which is what Lenovo terms a “composable cloud,” built on Lenovo ThinkSystem hardware and Cloudistics software. The partnership between Lenovo and Cloudistics looks to simplify the deployment, configuration, and management of private cloud environments for customers of all sizes and types. In turn, this could reduce overall operational costs for an IT organization. I’d like to share some thoughts on ThinkAgile CP, its degree of strategic fit, uniqueness, and critical success factors. IT organizations deploying a ThinkAgile CP solution receive a preconfigured “appliance” inclusive of independently-scalable compute, storage and networking that is designed to connect to the ThinkAgile CP Cloud Controller once the stack is accessible to the corporate network. The on-premise stack capacity is “advertised” to the Cloud Controller (a SaaS-based Management Console) where it may be composed into pools that can span stacks or sites, available to an IT administrator for multi-tenant provisioning. 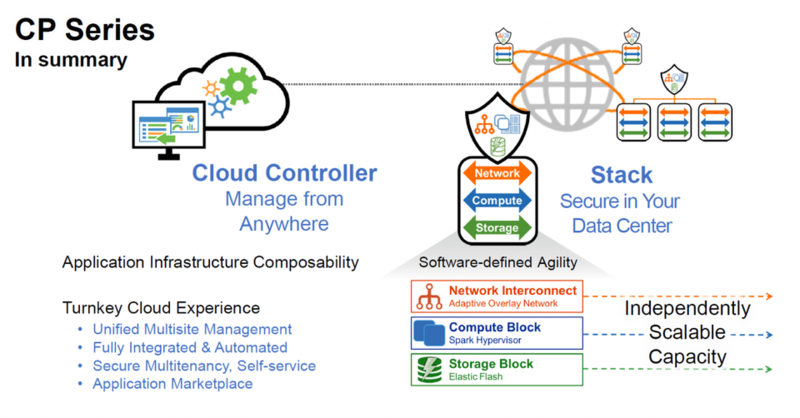 Software-defined compute, storage and networking can be achieved through a few clicks. ThinkAgile CP utilizes an application marketplace, curated by Lenovo and Cloudistics, that allows IT to enable a self-service portal for business units. In addition to curated offerings, organizations can also compose their own applications for self-service. Spinning up a database environment to develop a new line of business application looks to be as simple as “point and click” for DevOps members in a business unit. All manageability is also available via REST API for those looking to automate. Moreover, the ability for IT to charge back looks equally easy. Simply choose the resource to meter (CPU utilization, memory utilization, disk usage, etc.) and assign a value. Management of the ThinkAgile CP is performed through the Cloud Controller. Delivered as a Software-as-a-Service (SaaS) portal, the ThinkAgile CP Cloud Controller enables IT, administrators, to manage their ThinkAgile CP environment from anywhere. While the Cloud Controller is managed in a SaaS model, the performance and monitoring data is delivered by the on-prem environment secured within the enterprise. According to Lenovo, there’s no sharing and no aggregation with data from other customers. Does this work as advertised? Without the benefit of in-house testing, it is hard to make a definitive statement around the value ThinkAgile CP will deliver. However, if this solution delivers on the story Lenovo is telling, it could make life simpler for IT organizations looking to realize the promise of private cloud, but lacking the specialized skill sets required to achieve that goal. Configuring environments (called virtual datacenters) really is just a matter of allocating capacity from compute pools (cores, memory), storage pools and assigning networks (L2 VLAN, L3 VNET) with an IP address range. As any IT practitioner knows, no deployment goes perfectly. If and when problems arise, the IT administrator can open a chat box within the Cloud Controller UI and immediately connect with a product specialist that will assist in the configuring and management of the ThinkAgile CP environment. This could mean no more sitting in front of a console until the break of dawn, sweating bullets. As a former IT practitioner, I can tell you from experience; this is a reality. “Composable infrastructure” is a term that has been used by the likes of HPE and Cisco Systems for years and recently with Dell Technologies. Moor Insights & Strategy has written many papers on composable infrastructure. Each of these vendors has unique and compelling solutions at different stages of customer development. Disaggregation of resources is a key tenet of composable infrastructure. Lenovo’s approach to composability is focused on the cloud and application layer, with traditionalhardware as the supporting infrastructure. Lenovo believes that composability is an attribute that can apply to any layer of technology and in incremental extents. The organization evaluating ThinkAgile CP will be most concerned with shortening time to production and the granular composability of application resources within its private cloud environment, not the customizable assembly of bare metal devices and raw capacity through composable physical infrastructure frameworks. So, is ThinkAgile CP better than solutions from HPE, Dell Technologies or Cisco Systems? Is it worse? It’s neither. ThinkAgile CP is a different kind of solution solving a different set of problems. Organizations looking to deploy composable physical infrastructure frameworks will not be evaluating ThinkAgile CP. Consider a small enterprise IT organization supporting multiple business units in a DevOps or self-service fashion. Different business units may be utilizing different agile methodologies and different development tools on different frameworks. Cloud becomes necessary for success as IT can’t employ the army of domain experts to successfully support these environments. This organization more than likely employed the public cloud at some point. Moreover, after a few months, IT realized just how expensive the public cloud could be. ThinkAgile CP could be ideal in this usage scenario as it’s designed to deliver cloud efficiency, without the public cloud cost. I believe ThinkAgile CP is a relevant solution. Equally important, I ThinkAgile CP further demonstrates that Lenovo understands the needs of the modern datacenter customer infinitely more than it did five years ago and is crafting solutions to meet those needs. In addition to the new ThinkAgile CP Series cloud offering, Lenovo continues to develop its broader SDI portfolio around VMware (VX), Nutanix (HX), and Microsoft Azure (SX) that provides a wide range of virtualization, hyper-converged, and cloud offerings to suit nearly any customer’s affinities, skills and technology adoption toward modernizing or transforming their data center operations. Why is this important? It wasn’t long ago that many in the server market viewed Lenovo as a PC company with a server lineup. 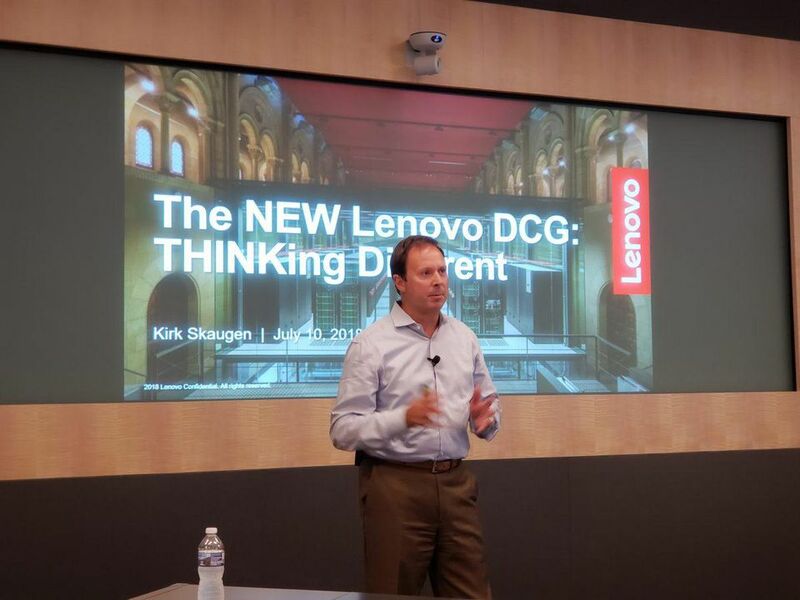 Kirk Skaugen, President of Lenovo’s Data Center Group, and the team he has assembled have clearly been working hard to not just change that perception but to change the culture. Moreover, that changing culture is demonstrated by a cleaned-up product portfolio, strategic engagements with companies like Nutanix and Microsoft, and products like ThinkAgile CP that come about by partnering with other innovators. Jointly map a plan of attack. Identify first movers/early adopters and build a plan for reaching strategic decision makers. Cloudistics is a relative unknown. Lenovo will need to give customers peace of mind that the company will be in it for the long haul. Build strategic channel partnerships. The joint sales teams of Lenovo and Cloudistics can’t go at this alone. However, ThinkAgile CP is not a breadth sales and marketing campaign (at least initially). Who are the key channel and solutions partners selling into the verticals/segments where ThinkAgile CP will have initial success? Find them. Educate them. Incentivize them. Educate the market. ThinkAgile CP is unique. This means Lenovo has to be persistent and consistent in its effort to help organizations understand the value. Be patient. Composable cloud is new. Composable cloud is strategic. Expect and embrace a longer sales cycle and market adoption. However, patience will pay off. Be clear on the future differences between CP (Cloudistics), HX (Nutanix), VX (VMware), and SX (Microsoft) and help guide customers best on their journey. Customers are looking for guidance, not a “free for all”. Lenovo is on to something with ThinkAgile CP and its exclusive Cloudistics partnership. The solution looks robust and could serve the needs of organizations of all sizes across many verticals and many different geographies. The real key will be leveraging the unique abilities of each company to execute a well thought, well managed go-to-market campaign. I look forward to following up on the success of this partnership later in the year.